Need to purchase more credits, check your balance / purchase history, or update your credit card information? No problem! We've put all this information and made it available in one central location - Billing Central. 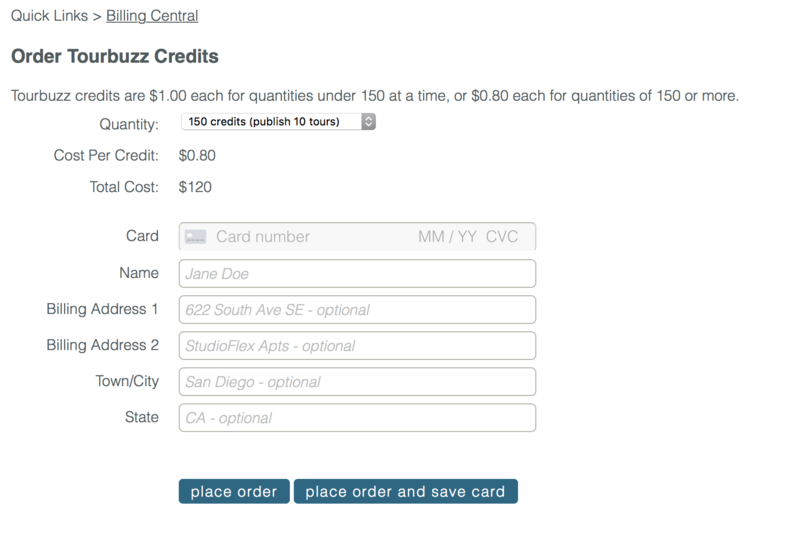 To purchase/buy Credits, click purchase credits and select the quantity you would like to purchase. Pricing is $1 per credit for quantities under 150. Pricing is $0.80 for quantities of 150 or more. Enter in your credit card information and select place order. If you'd like to keep your credit card on file, click place order and save card. 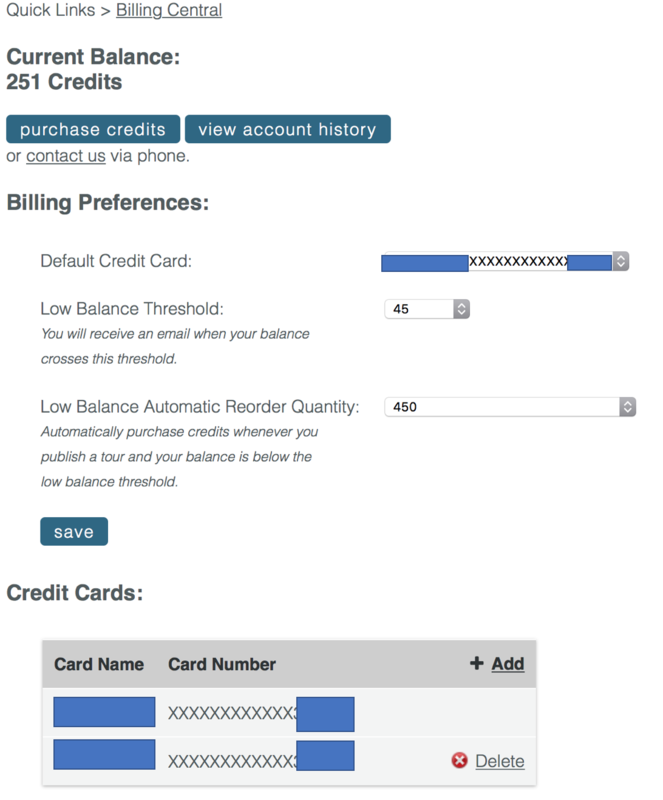 You can view your purchases and debits by going to My Account>Billing Central and view account history. 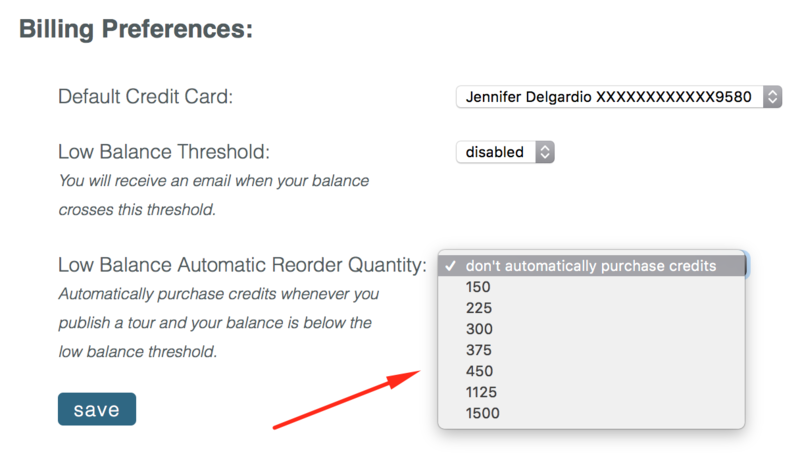 To see only your credit card charges, select the filter on the right to only show purchases. Any transaction where your credit card was charged will have a View Receipt hyperlink to the right of that transaction. 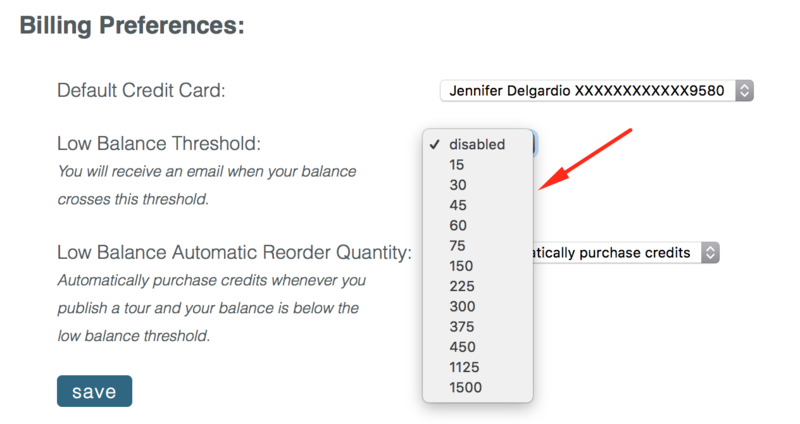 You can update your billing preferences to set a default credit card, set an email notification when your credit balance falls below a certain amount, and automatically reorder credits once your balance is below your designated threshold. Remember to click save after your changes are made. To add a new credit card, click add. You will then be brought to the Credit Card Information page where you can input the information and select save. If you would like this card to be your default card, select save and set as the default card. To delete, click delete to the right of the card. You'll then be asked to confirm that you want to delete this card.